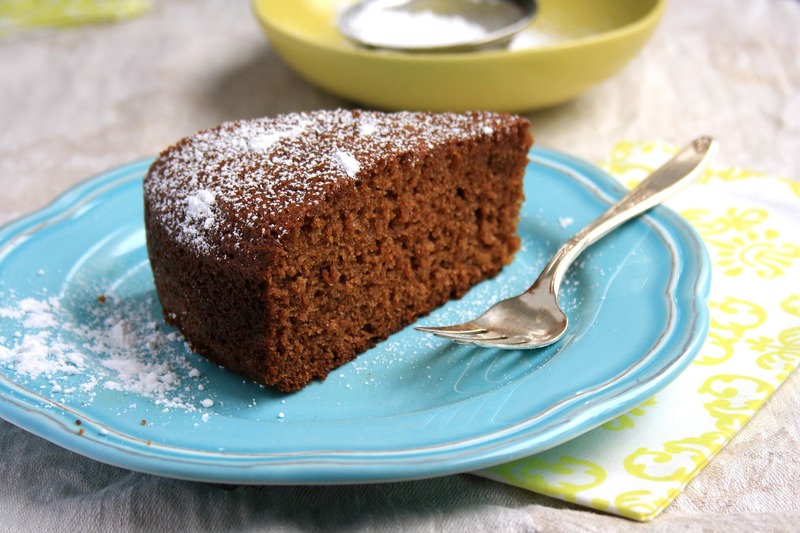 Considering the weather the East Coast has endured this week, a dark damp molasses cake sounds very appropriate. And with Halloween tomorrow night, I’s say this is the perfect dessert for the week of October 29, 2012. In this recipe though, dark and damp is a good thing. 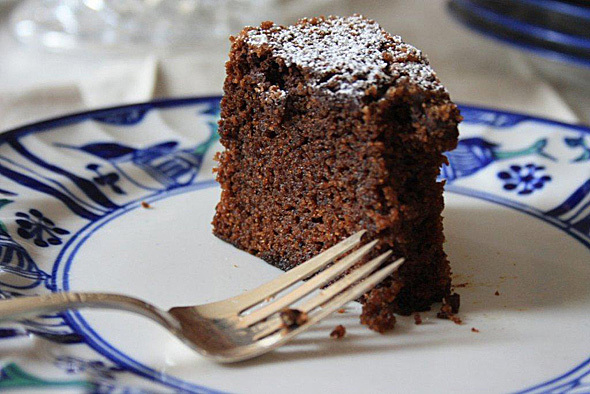 Rich and intense, this moist cake is more than a little addictive. 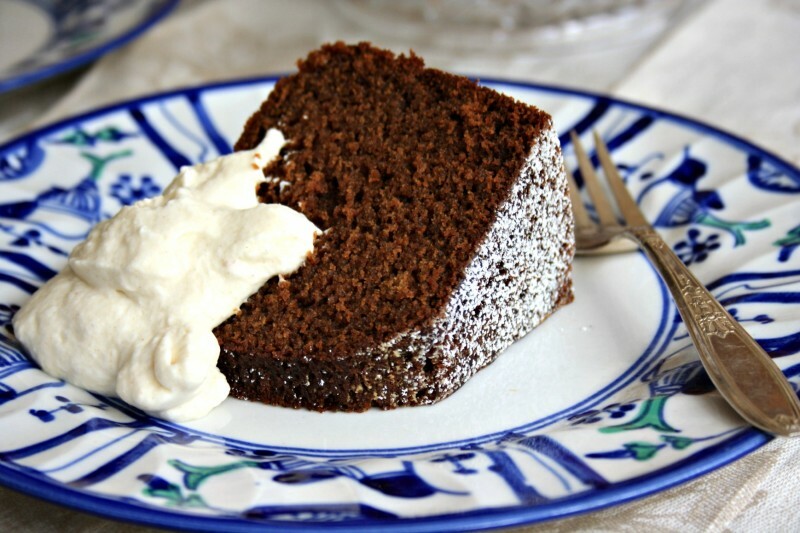 It’s a sophisticated and sticky, dense gingerbread. The original recipe called for a cooked cream cheese frosting which I must say looked stunning in the photos. But I went with something a little simpler. I served it first with a simple sprinkling of icing sugar and the next time gave it a Halloween-ish drizzle of chocolate sauce. Both were delicious. The original recipe called for blackstrap molasses, and you could also use cooking molasses. Both are more robust in flavour and deeper in colour so would yield a much darker (and still delicious) cake. Heat the oven to 350°F. Lightly butter or grease a 10-inch springform cake pan. In a medium pot over medium heat combine butter and molasses. Whisk in the brown and white sugars. When the butter has melted and the sugars are no longer grainy remove from heat. In another bowl, combine flour, salt, baking soda, ginger, cinnamon and espresso powder. Whisk the vanilla, eggs, and milk into the molasses and melted butter. When combined, pour this liquid slowly into the bowl of dry ingredients. Whisk thoroughly to combine. Pour the batter into the prepared springform pan.  Bake at 350°F for 50 -60 minutes or until a tester inserted in the center of the cake comes out clean. It may take longer. 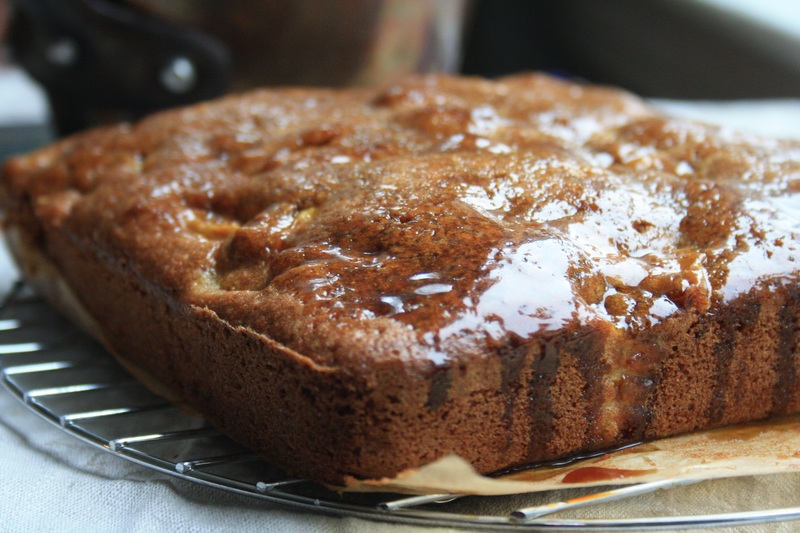 Cool for 20 or 30 minutes, then run a knife around the inside of the pan to help the cakes edges release. Remove the cake from the pan and let it cool completely. Sprinkle with icing sugar or drizzle with chocolate sauce. Hi Jenny – do you have some diabetic-friendly gingerbread recipes?! My email is bridget.oland@crosbys.com if you’d like to share. Thanks! This sounds really good, I have to try this. Thank you. 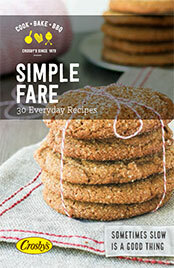 I would love to have your cookbook, Could you send me one please. We’ll put a copy in the mail this week. I made this tonight for my sister in law’s birthday. We both love molasses and ginger and everyone else is going to have to appease us. 🙂 I haven’t tasted the actual cake yet- it is still in the oven but the batter, yes I tried the batter! !- was so good! It makes a large cake so even with the amount of sugar, there was a large amount of flour and it didn’t seem overly sweet. Oh, and can you even imagine how my house smells right now?? Hi Penny — I hoped that you enjoyed the cake! Did you frost it or serve it with a sauce? I’m so pleased that you liked it! I’ll have to try it with icing next time.